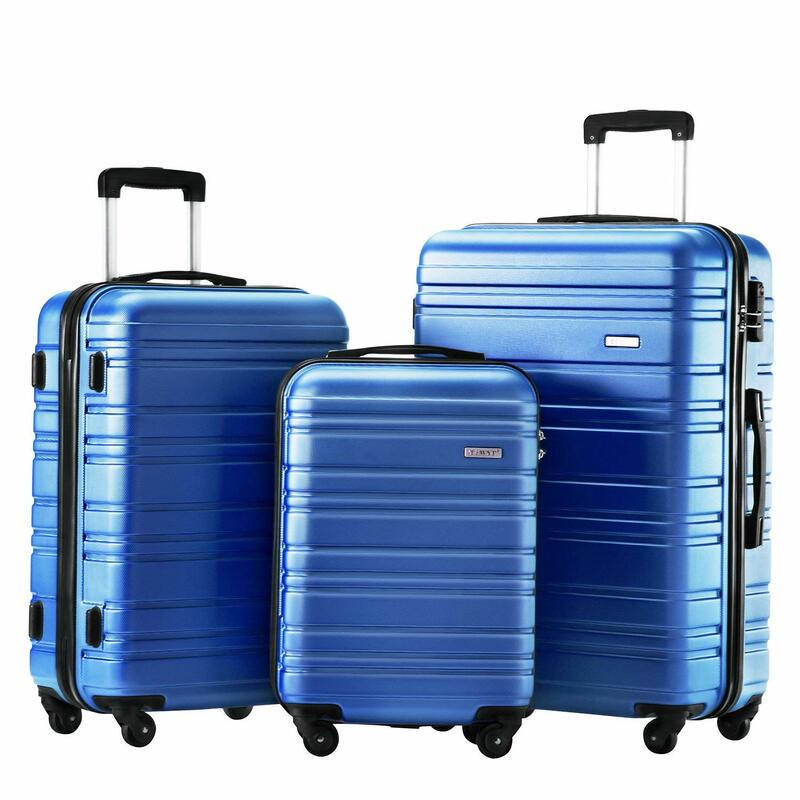 TBWYF 3 Piece Luggage Set includes three spinner hardshell upright bags of 20, 24 and 28 inches. You have four color options of purple, blue, sky blue and champagne with only the purple ten dollars more than the others at the time of this review. All of these four non-black colors are bright enough and with unique design, for you to find on the airport carousel easily- you will be much less likely to lose them. The exterior is hundred percent solid ABS plastic which makes the suitcases both lightweight and sturdy. They are designed to last a long time if they are taken good care of. Each bag comes with smooth and quiet spinner wheels that roll or rotate in all directions- 360 degrees very easily. There is a small TBWYF brand logo at the front of the suitcases that gives them a mild appeal. We do not have the info on the TSA compatibility of the combination locks. But they are quite solid and will help keep your clothes and other belonging safe during your trips. 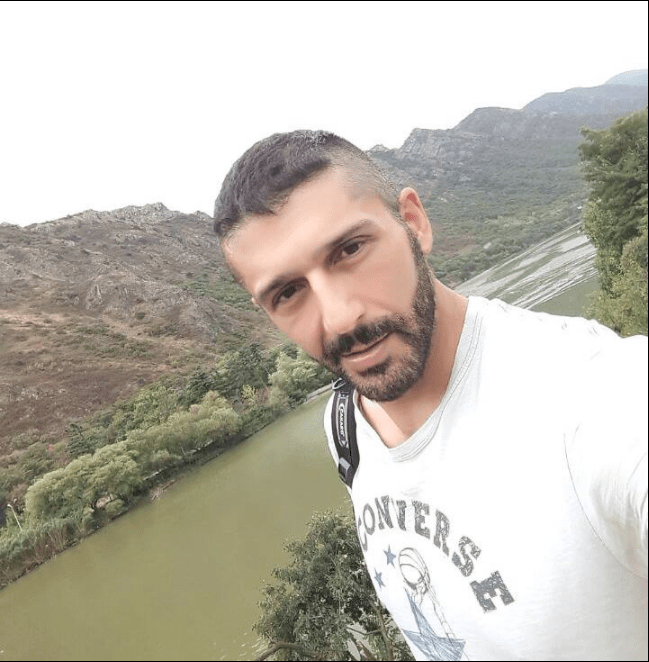 The luggage set is offered with a warranty of two years by the manufacturer, which is an indication of its decent quality and a good company that supports it. These upright bags are shipped nested into each other. And this makes it quite easy to store them in a corner of your room when not in use. You may use the smallest 20” (weighs 6 pounds, has a 40 liter capacity with the measurements of 19 x 15 x 8 inches) as a cabin bag to carry with you into the plane on most global and domestic flights and fit in the overhead bin above you. 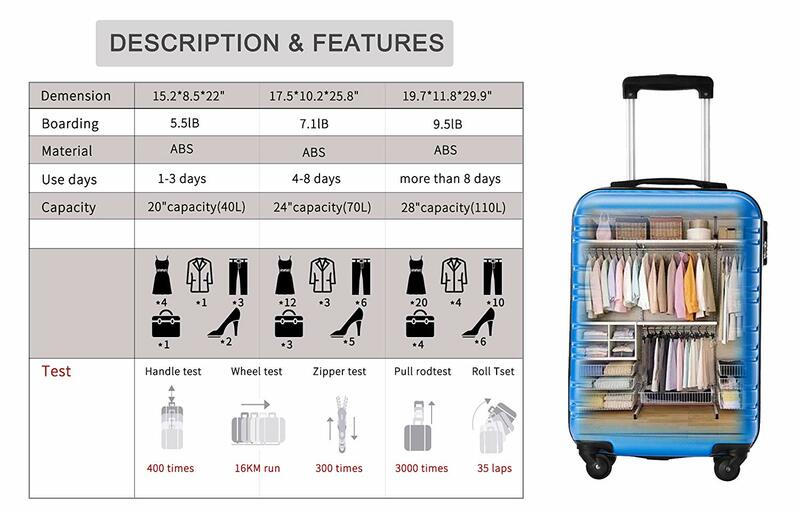 And you need to check in both the medium size 24” (70 liter capacity, 8 pounds of weight and the dimensions of 22 x 18 x 10 inches) and the large 28” suitcases with an 110 liter capacity that measures 28 x 20 x 12 inches including the wheels and weighs 10 pounds. You need to add two inches to the height to include the wheels in these measurements. To reset the combo lock that was preset to 0-0-0, use the button on the broadside, select the combo that you’ll remember easily, release the button and voila. Please make sure you do not release the small button when you’re setting the three digits. This bag doesn’t come with any baskets or hangers, but elastic straps to keep your clothes in place and zipped mesh pockets for your smaller stuff. The bags in the set are put through a variety of quality tests including the handle test (400 times), wheel test (16km run), zipper test (300 times), pull rod test (3000 times) and roll test (35 times). They offer great value for money overall- for how much they cost.